Leading telecommunications services provider, Airtel Nigeria, has announced the commencement of its Christmas charity campaign tagged ‘5 Days of Love,’ to uplift the less privileged in the communities it operates and give them a reason to celebrate during the yuletide season. The 5-day long programme, which will commence on the 18thof December and run till 23rd of the same month, is part of the CSR interventions of Airtel Nigeria under its Employee Volunteer Scheme (EVS). During the period, employees of the organization will embark on series of humanitarian activities including donations of Items such as foodstuff, bedding materials, sanitary materials, clothing, and toys among other items, to identified orphanages and charity homes across the country. As part of the activities, Airtel employees in the Western part of Nigeria will host children of Daniel Akintunde Model School for Children with Special Needs, Adigbe, Abeokuta in Ogun State, to a Christmas party. 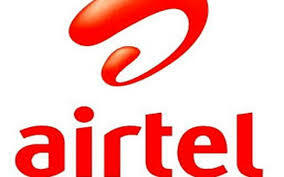 The Airtel team also plans to make donations to the school. Airtel employees in Lagos willtake the ‘5 Days of Love’ campaign tothe Arrow of God Orphanage at Oke-Ira, Ajah, Lagos to express love tothe orphans by spending quality time and donating relevantitems and supplies to enrich the lives of the children. Also within the week, the North Region is expected to visit the Wuse General Hospital, Zone 3, Wuse, Abuja and the Defence Medical Centre, Mogadishu Cantonment, Asokoro, Abuja while Airtel employees in South Region will round off the programme by visiting the Gidan Begge Motherless Home, Markurdi Benue State on Wednesday, 23rd of December. Commenting on the‘5 Days of Love’ initiative, the Managing Director & Chief Executive Officer, Airtel Nigeria, Mr. Segun Ogunsanya, said the telco is committed to touching the lives of underprivileged persons in the society as well as empowering stakeholders in the communities where it operates. “As a critical stakeholder in the Nigerian society, Airtel is passionate about uplifting the less privileged and providing support for the vulnerable as this aligns with its overall CSR theme of touching lives and improving the standard of living of the less privileged,” he said. Airtel’s Employee Volunteer Scheme is aphilanthropicinitiative through which employees of the company voluntarily donate their time and moneyto assist underprivileged people and persons with special needs.